Yesterday during the 11th hour, people all over France took time out to commemorate lives lost for their country during WWI, WW II, and the Algerian War. Even my tiny village had a commemoration event. We began gathering in front of the church at 11:45am, about 40 of us in all, villagers and ex-pats. Christiane read a short piece while everyone listened solemnly. 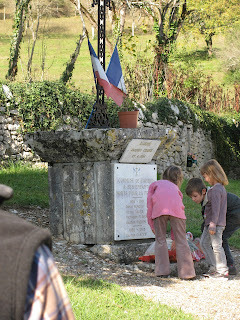 Three children then laid a wreath of flowers at the foot of the war dead memorial. Madame Gentou, the mayor, spoke a brief prayer and then began slowly reading each name. 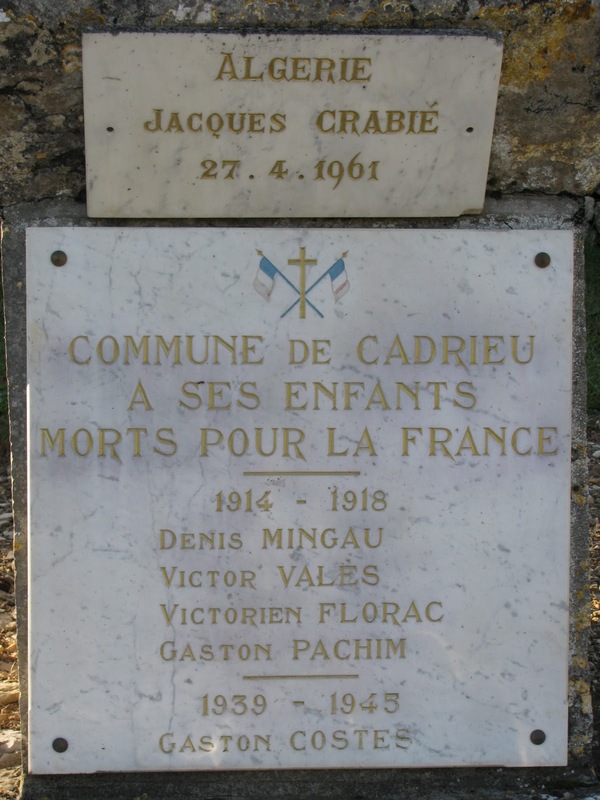 After each, the crowd intoned 'mort pour France,' Died for France. War and the toll it takes on life is not an abstract idea here; it is very personal. War was fought right here during WWII with the French Resistance being very active against the occupying Germans. 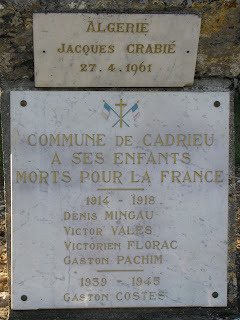 Right across the river from where I sit and high on the causse, Belgian prisoners of war were executed. Had I been sitting here at my computer that day with my windows open, I might have even heard the shots. Each person lost from this little village left a huge whole in the lives of all. Each was someone's son, a husband, a beloved brother, a good neighbor. It's not a bad thing to set aside time to remember that war impacts real people and to pray that it never happens again.